We all know the feeling you get when you bring a 6pack to a party. 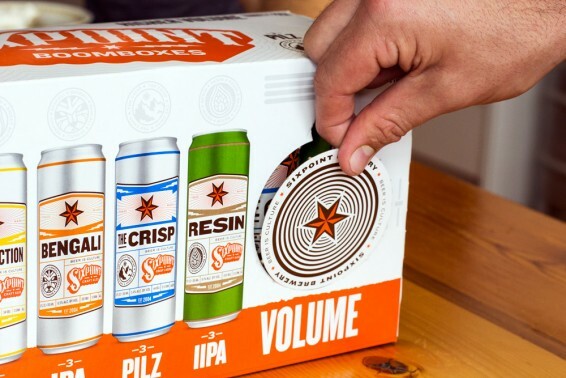 You grab one beer, turn your head away and the whole pack has been crushed. Wouldn’t hurt to have a little variety too. Hmmm… what’s the solution… how bout HIGHER VOLUME? …to become these slick coasters! To commemorate the release, we’ve made 4 custom Spotify playlists, one for each brew. 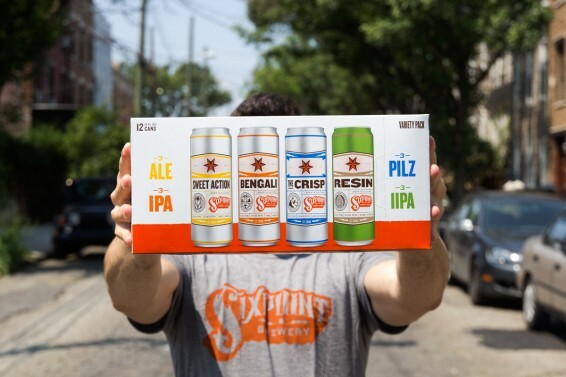 For The CRISP Playlist we have smooth, classic stylings from our Emerging Markets Rep “Jersey” Dan Bisogno – he’s been spinning tunes for us and other outlets for years now, including this Pop-up Beer Garden Jam we did this summer. To hear the custom playlists, just log into your Spotify account. Don’t have one? Here’s where to sign up. Ready for some dub vibes?? Adrian “Mr. 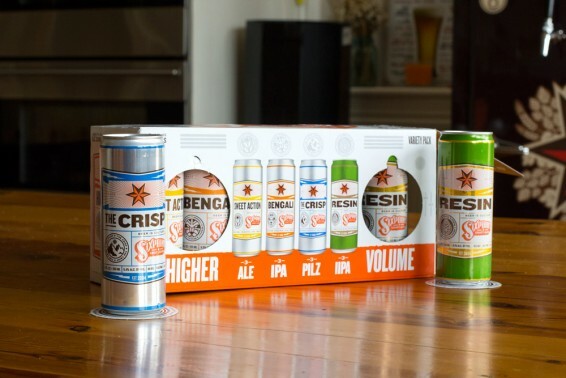 Brown” Marquez, who reps Sixpoint down in DC, put together a killer list for RESIN. He absolutely tore up the decks at last year’s Beer For Beasts. Resident metalhead and NYC Sales Chief Adam Zuniga (the brains behind events like this) put together a roaring metal set for BENGALI. For the Sweet Action list we’re kickin it old school with our old friends Chances with Wolves. They’ve run a weekly radio show for years (now totaling over 300 episodes) and have brought down the house at Beer for Beasts a few times. Be sure to check out their website and follow them on Soundcloud, you won’t be sorry. These guys are known as vinyl-hounds, digging deep into old records and expertly weaving them into a modern sound. So we actually offered them a bit of a challenge here – they set their crates aside to mine Spotify to put together this list. But they were up to the task and then some… these dudes added 34 killer tracks for almost 2 hours of chill vibes. Now it’s your turn — in the spirit of releasing a shareable package, we’re letting music lovers create their own interactive list of the best tunes to jam out with your favorite brews. Throw in the title of the track and the artist to get yours on the “Higher Volume” mixtape. Bonus points if you include the Spotify link. We’ll be updating periodically with suggestions from you guys. Your song may not pop up right away, so in the meantime, check out what other people have submitted! 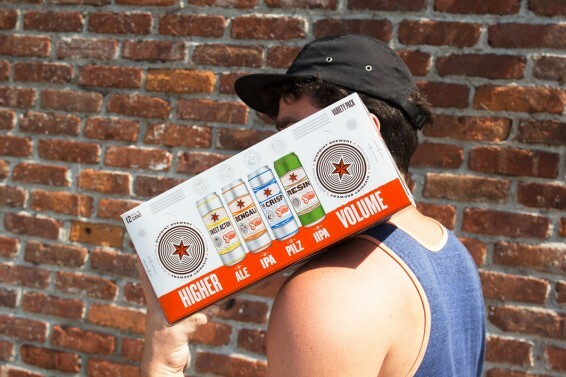 Let us know what you think of Higher Volume by reaching out on Twitter, or shooting us an email at beer@sixpoint.com.